If you run a car store then you have to advertise your company and keep in touch with clients. And it is extremely easy if you have a website. 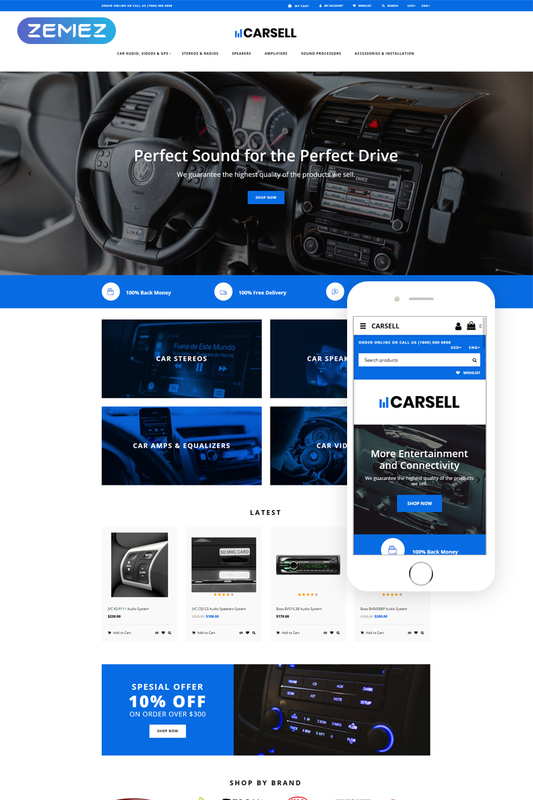 This is why our developers created a Carsell Opencart theme. It is has a clean design and allows you to highlight products and present them in the best possible way. Moreover, due to Opencart e-commerce plugin pack Carsell has a cart, wishlist and compare buttons. It also has language options and currency options and you can use them to find new clients from abroad. It is highly responsive and supports high-quality images. Moreover, you can blog about the latest arrivals or keep in touch with customers via social options. This theme is multipurpose and you can create many businesses with it. You can create an auto store and provide customers with audio systems, stereos, car supplies, sound systems, and many other products.